Orlando Pirates and Mamelodi Sundowns cancelled each other out in their Absa Premiership match at Orlando Stadium on Monday night, playing out a goalless draw. The result sees the Brazilians move to 44 points at the top of the log, while the Buccaneers climb to second place on 41 points (level with Bidvest Wits). Kick-off was delayed by almost 20 minutes due to congestion outside the stadium. Once the match got under way, 'Downs almost claimed the lead inside the opening 30 seconds when Thapelo Morena put an effort just wide after meeting Tebogo Langerman's low cross. That signalled the start of an exciting first half in which the teams traded significant chances but were unable to find the back of the net. Sundowns tested out Pirates goalkeeper Wayne Sandilands with several long-range attempts, while the hosts' best chance saw Justin Shonga shoot straight at Denis Onyango a few minutes before the break. 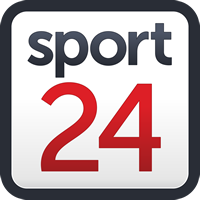 The most significant action of the first half took place just after the half-hour mark when Luvoyo Memela threatened to run through the 'Downs defence before being hacked down by Lebohang Maboe. The Buccaneers wanted a red card brandished, but the referee opted only for a yellow. The second half saw fewer chances created at either end, while Pirates suffered a blow on 67 minutes when they were forced to withdraw goalkeeper Sandilands – who suffered a blow to the head in an earlier collision – and replace him with Siyabonga Mpontshane. The Buccaneers looked the likelier scorers by this stage and nearly claimed the lead with just under 15 minutes to play, as Augustine Mulenga got in behind the Sundowns defence but was denied by a smothering save from Onyango. The Brazilians nearly snatched a late goal when Happy Jele's dangerous back pass almost allowed Lebohang Maboe in, but Mpontshane reacted well to get to the ball first and make a vital clearance, ensuring the game finished 0-0. Pirates will return to Absa Premiership action on Saturday 6 April when they play away to Bidvest Wits, while Sundowns' participation in the CAF Champions League quarterfinals means they will only return to domestic action on April 17 when they host SuperSport United.